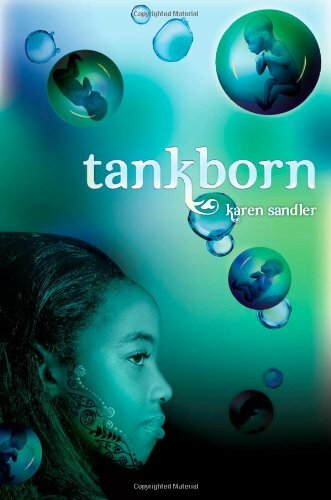 As you are doing your holiday book shopping, consider giving a few titles to Ballou High School in Washington, D.C. Their library started out with a meager one title per student, before Colleen Mondor kicked off a spring book drive. With all the contributions from the KidLitosphere things have improved, but they could get better — and need to get better. All the information is over at Guys Lit Wire, but time is running out. 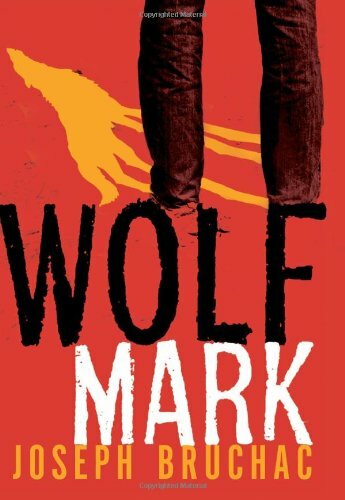 I’m sending Tankborn, Wolf Mark, and Unforsaken. How about you? Making the rounds last year was a video showing a little boy disappointed with his present. “Books for Christmas!!? ?” he cried, and the book lovers among us cringed. Perhaps we always hesitated in our literary gift-giving, afraid that our carefully chosen titles would fall flat. But the very popularity of the video seemed to make it more real that giving books for the holidays was a joke. To add insult to injury, reputable newspapers informed us that the picture book was dead and that teen books are too dark. The death of the book continued to be reported as the e-reader wars raged. At this point, we would all be excused for giving up and grabbing the noisiest truck or hottest fashion doll or popular movie tie-in toy. 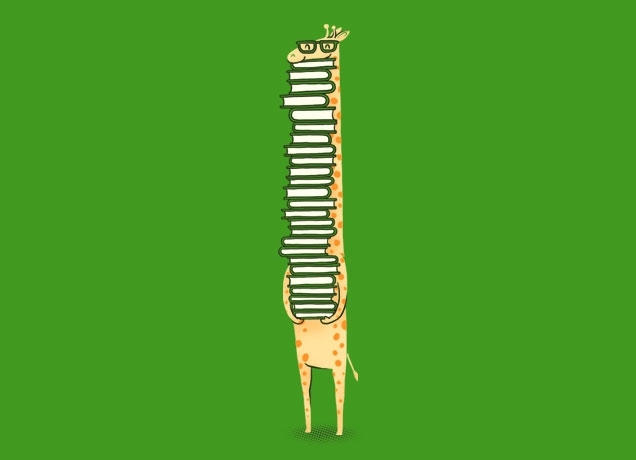 Ah, but book people are strong. We’ll continue to give our favorite titles, tied with ribbons and presented with love. We’ll find new ways to fight the commercial tide. Use the books we love to encourage creativity, discovery, and imaginative play. Finding things that enhance the reading experience. With those thoughts in mind, I’ve pulled together 150 Ways to Give a Book this holiday season, with ideas for everyone from tots to teens — and even some adult suggestions. For today, with Picture Book Month coming to a close, I’ll highlight ten titles from this year. All are Cybils award nominees, and many have made the various “Best of 2011” lists that are trickling in for the end of the year. 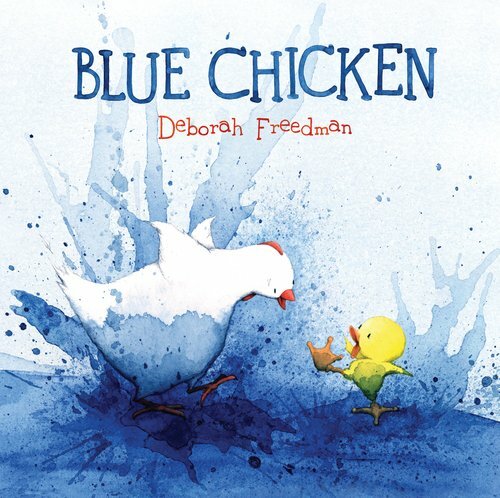 Blue Chicken tells the story of a painting that comes to life and a little chicken who makes a big mistake. Investigating her surroundings, she knocks over a jar of blue paint and changes the very picture that she is in. She is able to solve the problem and save her animal friends and the picture. The clever tale is enhanced with lovely illustrations and would be perfectly paired with a paint set. Set aside some time to share the book and art time with a special child. Everyone is raving about Me... Jane — and no wonder. With its charming illustrations and its story of a strong girl, the book is something special. 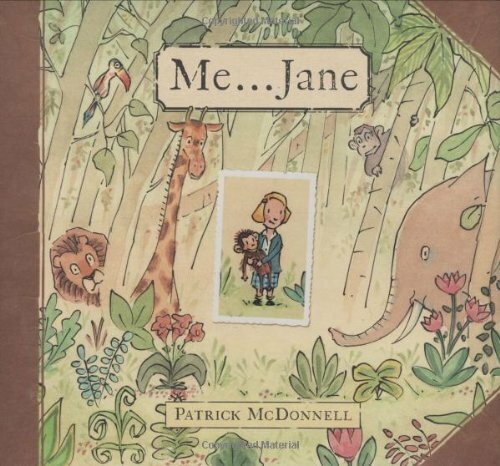 The end includes information about the inspiration — Jane Goodall — but the book itself stays storylike in the world of a girl growing up to inspect and respect the natural world around her. As the storybook Jane carries a pet chimpanzee, a perfect gift would be a plush chimpanzee. 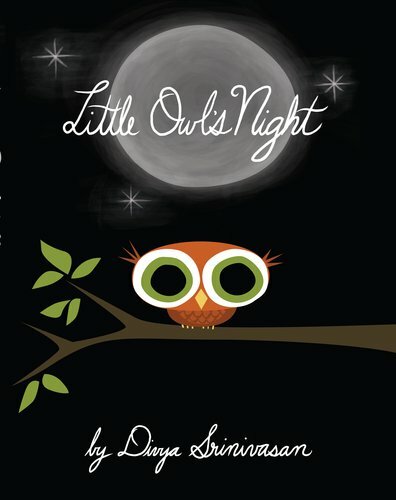 Bedtime books tend toward soft colors and dreamy settings, but Little Owl’s Night takes a different and welcome direction. The little owl is checking out his nighttime surrounding in the dark before his bedtime at dawn. The story is gentle enough, but the black blackgrounds and strongly contrasting graphic design of the illustrations make this book a standout. Since we are not night creatures ourselves, perhaps this title could be given with a night light to chase away the darkness parts of the bedtime hours. 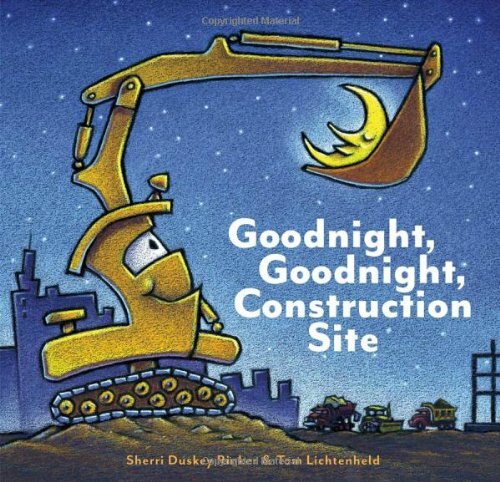 Goodnight, Goodnight, Construction Site is a winner for combining its sweet bedtime story with trucks. Trucks! As each construction job is completed, each truck turns in for the night. The illustrations are informative and fun. And speaking of fun, wouldn’t it be nice to connect the story with playtime with toy construction vehicles? 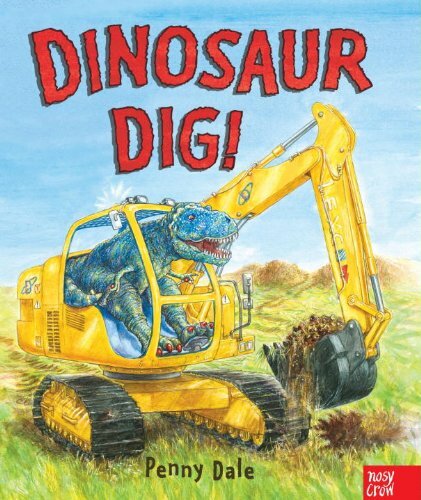 Or add more reading pleasure by throwing dinosaurs into the mix with Dinosaur Dig! which combines construction trucks with dinosaurs, and throws in counting for good measure. The endpapers give the names of both dinosaurs and trucks for even more educational value. 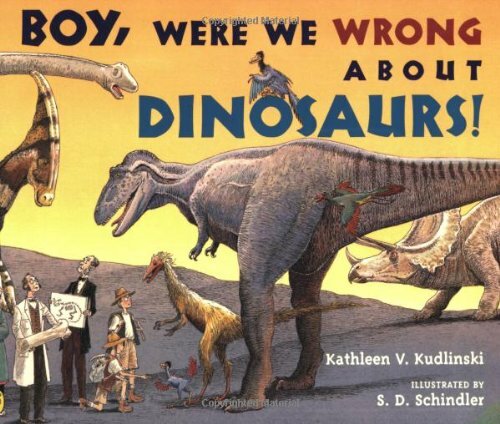 The text and story are simple, but the artwork is as realistic as dinosaurs operating vehicles can be. On its own this book could be given with bunch of plastic dinos. 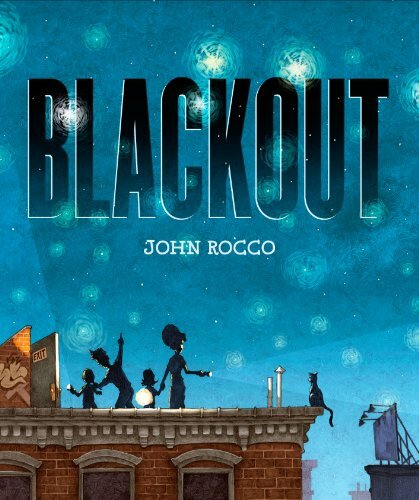 Blackout takes the reader to a day when all of the city went dark. A family, previously busy with all things electronic, heads to the roof to escape the summer heat and find the stars filling the night sky and neighbors socializing, and it is all magical. When the lights come back, they’ve remembered that sometimes they can have simple fun together. A picture book with graphic novel influences, the illustrations are wonderful and the story relatable. Since anywhere can have a power outage, every kid needs his or her own flashlight. 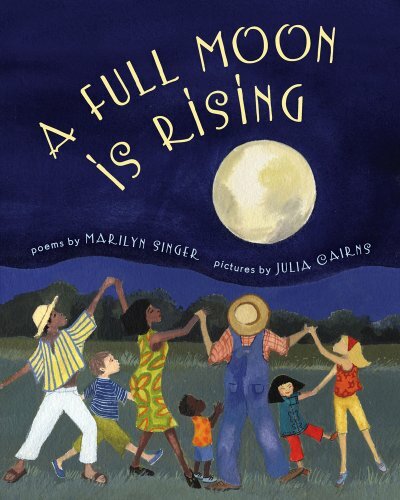 Take a trip around the world with the moon as your guide in A Full Moon is Rising, with poems by Marilyn Singer and illustrations by Julia Cairns. The lovely poems capture the different cultures under the moonlight and specific activities honoring its glow, while engaging illustrations perfectly display the diverse world. 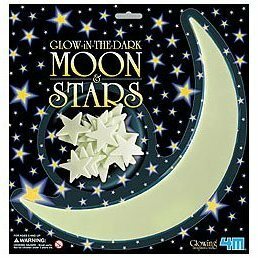 Give as a gift with glow-in-the-dark moon and stars — or go high tech with this Moon in my Room. 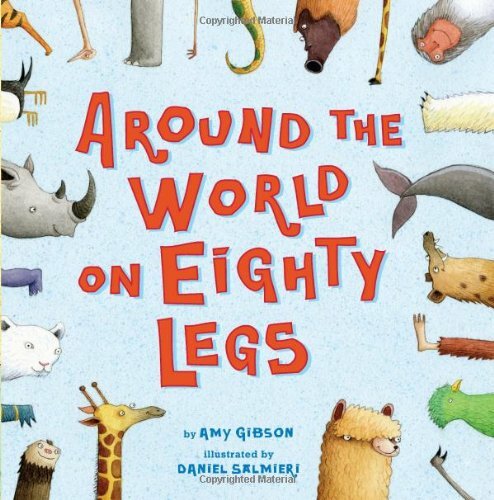 Another poetry picture book takes us Around the World on Eighty Legs: Animal Poems with fun, light selections about many of our animal friends. The poems are brief with little facts about the areas covered and the animals mentioned, while fun illustrations in colored pencil and watercolor add to the playful feel and humor. Great for a variety of ages and perhaps even a good teacher gift. Encourage poetic exploration with word beads or magnetic poetry. 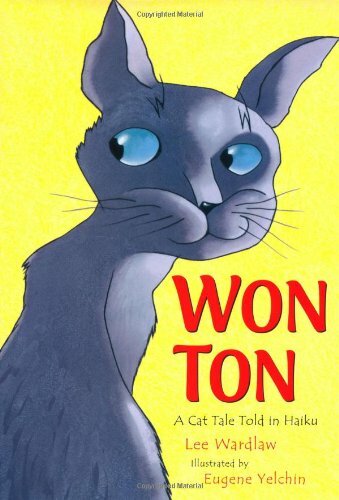 In Won Ton: A Cat Tale Told in Haiku we are introduced to a lonely shelter cat, lean and longing, who gets a home and adjusts to his new surroundings with the typical practiced nonchalance and semi-disdain exhibited by the feline. 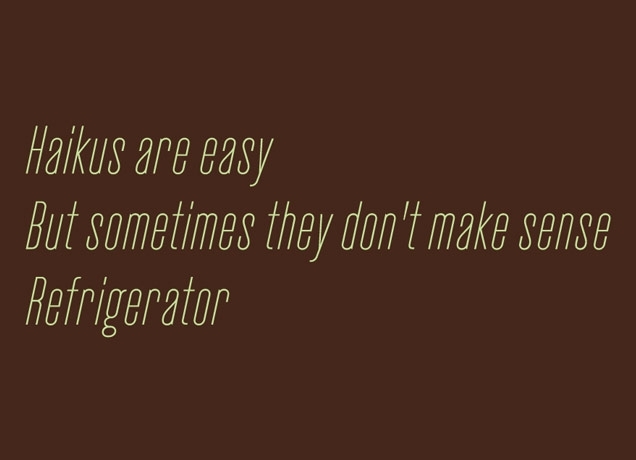 Poems cover fishy breath, scratching furniture, and hairballs along with the cuter aspects of cats. The illustrations keep the focus on the feline, tuning out the backgrounds in soft colors, and capturing the essence of each poem and its subject. Give a cat card game for more feline fun. If you need another cat book, add on Dear Tabby. Dog lover instead? 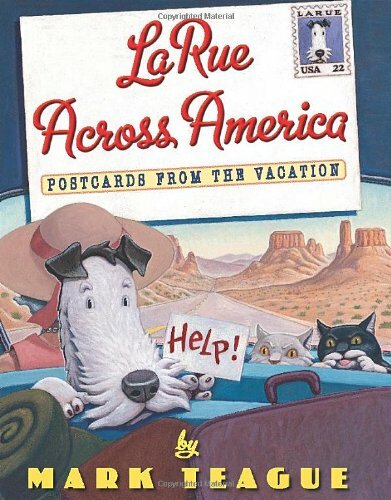 Then you must meet Mark Teague’s LaRue Across America, a dog with mad letter-writing skills. Here he is taking a trip across the country in the company of two cats. Cats! These unfortunate companions ruin his vacation in funny ways, and the reader is let in on the humor in the letters home and the wonderful illustrations. 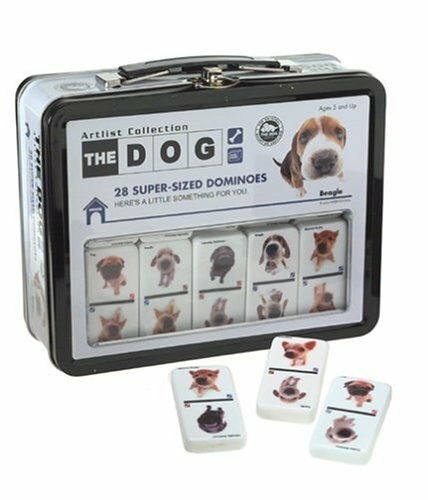 Add to the playtime with dog themed dominoes and even an extra book, Charlie the Ranch Dog. 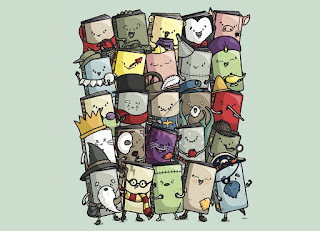 For more ideas on giving books this holiday season, look to 150 Ways to Give a Book. With all the live links, you may not even need to leave the house to do your shopping. 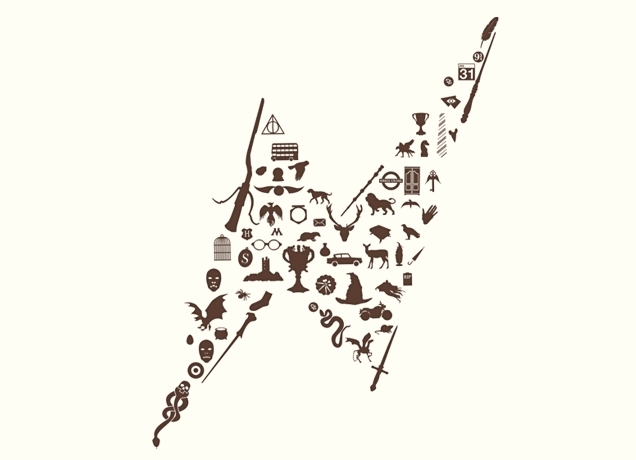 And Ohmigod how did I miss this Harry Potter-inspired shirt titled Tee Which Shall Not Be Named. 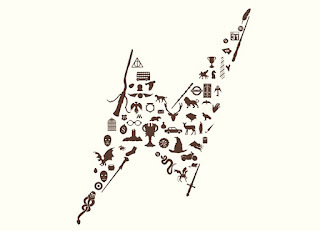 Seriously, look closely at the picture to see all the little references to the books. Brilliant. For all of your holiday shopping needs, here are 150 Ways to Give a Book, grouped by (approximate) age. They are all MotherReader-approved titles — i.e., Good Books. There are a lot more choices for younger kids, as that’s the group we adult most fear disappointing with giving “only” a book. And picture books are my specialty. After the book and gift selections, I’ve also included ways to wrap a book, and book-themed gifts to include for a variety of ages. There are new 2012 titles mixed in with older ones — though there aren’t many classics, as I’ve tried to select books that kids would be less likely to have on their shelves. So no Harry Potter. Sometimes I choose the hardback when the paperback is also available, so check if that is important to you. I’ve also linked to the fun extras through Amazon, for example, to save you shopping time, and because I get some small credit for your purchases through the Amazon Associates program. But know that you can find cheaper alternatives for some small things — paints, pens, journals, etc. — at a local discount store. On the other hand, doing all your purchases online and having them sent to your door is priceless. Give an experience like a trip to a zoo, aquarium, museum, aviary, arena, or city. Put the passes, tickets, or homemade gift certificate with a relevant book to make it feel more tangible. Take a road trip with Ask Me so you can use the driving time to ask each other the interesting questions from the book. Give a book with a movie theater gift card to see the upcoming film. Give a book with a gift card to rent the movie. Include a box of microwave popcorn. 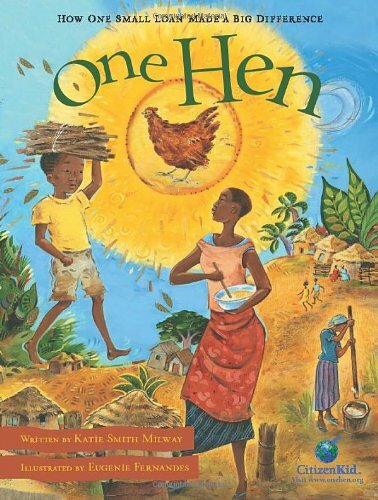 Give One Hen — How One Small Loan Made a Big Difference with a loan to Kiva or a donation to Heifer International to buy chicks. For more charity and book matches, look to this list from Abby the Librarian. Match poetry books with word beads or magnetic poetry. 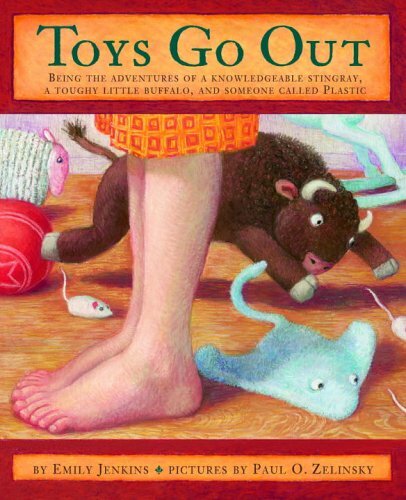 Pair a picture book with a related stuffed animal. Give an interesting, insightful book with a restaurant gift card and a date to discuss the book together over a meal. Honor the book enthusiast with necklace along with a new title. Celebrate writing too with special journals from Tara Books, an independent press based in India. Learn letters with ABC, Baby Me! board book or The Sleepy Little Alphabet and letter links. Or work with numbers (and colors) with 10 Hungry Rabbits and magnetic numbers. Give Jeremy Draws a Monster with a pack of fat crayons and a stack of copy paper from an office supply store. Or go with Art and Max or Blue Chicken with a paint set. Pair The Curious Garden with gardening tools and seeds. It’s almost dessert when you give The Cow Loves Cookies with a cookie counting game. Get moving with Dancing Feet with Fisher Price: Disco Dance Party CD. Keep up the music giving Drum City with an old-time tin drum. What else can go with Extra Yarn but extra yarn? Well, and knitting needles and instructions. Pair Kite Flying and/or Kite Daywith a new kite. Give Bats at the Ballgame with a bat and ball. You can throw in a coupon book for practice sessions. Take a bedtime book like Little Owl’s Night, A Bedtime for Bear or Sweet Dreams and add a night light. Or choose A Full Moon is Rising or Moonlight with glow-in-the-dark moon and stars — or go high tech with this Moon in my Room. Pair Bubble Trouble with touchable bubbles. Ballet dancers will love Brontorina or Bea at Ballet with a fancy tutu or two… two. Give little superheroes SuperHero ABC along with a superhero cape. Encourage a future Iron Chef by giving Oscar and the Very Hungry Dragon with a cooking set. Silliness ensues with Pigs to the Rescue and the Pass the Pigs game. Take it outside with Chalk with 3-D sidewalk chalk. Pair Goodnight, Goodnight Construction Site or Building with Dad with toy construction vehicles. Give Yuck! That’s Not a Monster! with the Moody Monsters Memory Game. Who can resist that match-up of Abe Lincoln Crosses a Creek with Lincoln Logs? Give your little dragon-lover Hush Little Dragon or Guess What I Found in Dragon Wood with a cute dragon. Is there a doctor in the house? There will be with picture book Doctor Ted along with a doctor kit. Future firefighter instead? Give Fire! Fuego! along with Firefighters A to Z and firefighter gear. Pair picture book Crafty Chloe with a selection of craft supplies. What else can go with Pop! The Invention of Bubble Gum other than lots of bubble gum. Cat lovers can enjoy picture books I Don’t Want a Cool Cat, Katie Loves the Kittens, and Won Ton with a cat card game. Or let the dogs out with Dogs, Charlie the Ranch Dog, and If You Give a Dog a Donut and dog themed dominoes. Nature lovers will enjoy Birdsongs along with a guidebook like Backyard Birds and some binoculars. For more nature, pair Butterfly Tree with a butterfly garden kit. Give your favorite girly-girl Fancy Nancy and the Posh Puppy with dress-up jewelry and/or a fancy poodle. Give your rough little boy Pirates Don’t Change Diapers along with genuine pirate gear. Take sweet picture book Lissy’s Friends and pair it with an origami kit. Make a perfect pairing with Elsie’s Bird and a singing bird music box. Picture books A Sick Day for Amos McGee or Pssst! would be perfect with a zoo animal collection or game. Or head down to the Farm, adding a Lace and Trace Farm Set. Taking a Bath with the Dog and Other Things That Make Me Happy is a book that deserves its own bathrobe and/or bubble bath. For a western theme, give A Night on the Range or Every Cowgirl Loves a Rodeowith a cowboy hat. Another nighttime choice is Goodnight, Little Monster with an Ugly Doll. Give picture book The Moon with a special flashlight and a promise for a nighttime walk or two. Or for a different angle with that flashlight, pair with Blackout and prepare for indoor fun with the lights out. 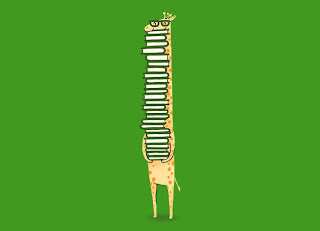 Take a special book, like Wow! It Sure is Good to Be You (which is about an aunt loving her far-away niece), and make a CD recording of you reading it. Pair Duck and Goose with a bright spotted ball. The funny wordless book Once Upon a Banana is a perfect fit with a stuffed monkey — but show your sense of humor by throwing a banana into the gift bag. Another wordless book choice is the visually stunning The Tree House, which works surprisingly well with Littlest Pet Shop brown bear and polar bear. Give The Snow Globe Family with a snow globe. Pair Lilly’s Big Day with dress-up clothes. Or another dress-up option is the Ladybug Girl books with wings and antennae. Pair Bubble Bath Pirates with a cool rubber duck. Give the wonderful The Day the Babies Crawled Away with a baby doll. Everyone needs Mo Willems’ book Don’t Let the Pigeon Drive the Bus, maybe adding a toy bus and a cargo truck. Pair classic A Bargain For Frances with a tea set. Give Instructions with a book of classic fairy tales, and make time to read them together. Expand the idea of giving with The One and Only Ivan with an adopt-an-animal program at your local zoo. Or give Goal! with a soccer ball and a donation to Project Play. Introduce a folktale with Maneki Neko: the Tale of the Beckoning Cat and giving lucky cat bank. Pair silly beginning reader book The Monster in the Backpack with a cute backpack (monster additional). Give beginning reader books Amazing Sharks! and National Geographic Readers: Sharks! and throw in a shark on a stick. Take to the ice with book choices Katie Kazoo, On Thin Ice and passes to the local ice-skating rink. Pair Take Me Out of the Bathtub and Other Silly Dilly Songs with a kazoo. Give early chapter book series books Ella the Rose Fairy (Rainbow Faires series) or Rose’s Special Secret (Flower Fairies series) with a lovely little fairies. Blooming fashionistas will appreciate Paper Fashions (Klutz) (all thirty-five Amazon reviews gave five stars!) along with Fashion Kitty and the Unlikely Hero. Combine sweet Jenny and the Cat Club with a red scarf (don’t worry if it’s too long — so is Jenny’s) and a black cat. Pair Operation YES! with green army men. 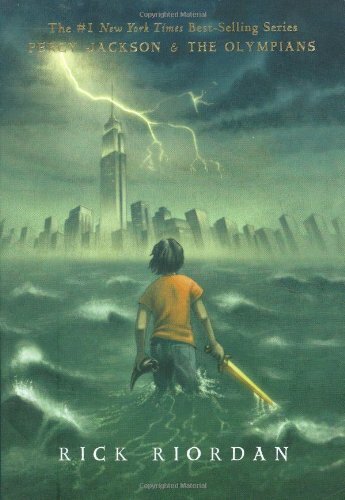 Be a hero and give Percy Jackson and the Olympians Boxed Set with Heroes, Gods, and Monsters of the Greek Myths. Give What the World Eats with a promise for an international dinner out or in. Pair Every Soul a Star with The Kids Book of the Night Sky and plan a date to look at the stars together. You can’t go wrong with the funny poems and outstanding art in Frankenstein Takes the Cake along with a cake-baking session, followed by reading the book together. As a matter of fact, throw in Frankenstein Makes a Sandwich and make a whole day — and a meal — of it. Speaking of the amazing Adam Rex, give the hilarious book The True Meaning of Smekday with a the related T-shirt Regarding Stickyfish Teams, I Favor the Bigfield Fighting Koobish. For business-minded kids, pair The Lemonade War with a coin counter bank. All the elementary school kids will love The Invention of Hugo Cabret, but you can pair it with tin wind-up toys for extra flair. Give Moxy Maxwell Does Not Love Stuart Little with um, Stuart Little. Give Kimchi & Calamari with a promise for a dinner out Korean style, or Italian style, or both. Wrap up A Crooked Kind of Perfect with excellent toe socks. Perhaps Fabulous Hair with a collection of hair accessories will make someone smile. Pair a diary-format book like Lucy Rose: Big on Plans (3rd/4th grade), Amelia’s Notebook (4th/5th grade), or The Princess Diaries (6th/7th grade) with a journal and fun pens. For a boy, how about the new Diary of a Wimpy Kid: Third Wheel with the Do It Yourself Journal? Or maybe Here Be Monsters! with a Nightmare Snatcher Journal. Have fun with Clarice Bean Spells Trouble and a game of Scrabble. Pair Phineas MacGuire... Erupts! with a science kit, or the next book in the series, Phineas MacGuire... Gets Slimed! with the slime science kit. Look to fantastic nonfiction, giving Team Moon: How 400,000 People Landed Apollo 11 on the Moon with a homemade coupon for a visit to the Air and Space Museum (okay, this might only work around Washington, D.C.) or astronaut ice cream. Give a drawing book like Draw 50 Aliens or Draw 50 Animals with a couple of nice sketch pads. Pair a spy-themed book like Harriet the Spy (chapter book) or The Real Spy’s Guide to Becoming a Spy (nonfiction) with rear-view sunglasses and/or a fingerprint kit. Bigger girls like stuffed animals, too. 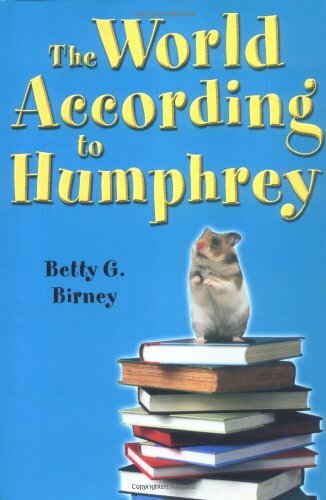 How about Hoot with an owl or The World According to Humphrey with a hamster? Select a magic book and fun magic tricks. Pair D.I.Y. : Kids with a gift card to a local craft store, and maybe some shopping and crafting time together. Match the book and the movie, like The Spiderwick Chronicles with the DVD. Or maybe Fairy Realm with a charm bracelet. Give the first books of The Series of Unfortunate Events with a brass telescope. Give Forget-Me-Nots: Poems to Learn by Heart or Poetry Speaks to Children with hot chocolate, a mug, and a gift certificate for time to read it together. Give the companion books Goth Girl Rising and The Astonishing Adventures of Fanboy and Goth Girl , and throw in How to Draw Comic Book Heroes and Villains. Pair a book that you and a teen can enjoy with a gift card to Starbucks and a promise to talk about the book over coffee. Some suggestions? 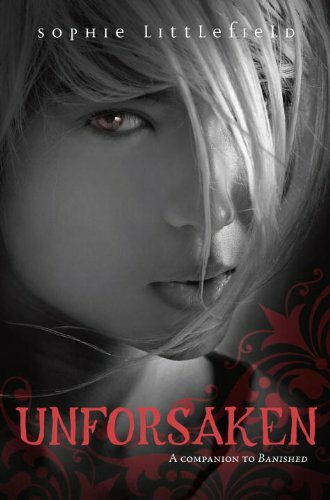 Liar, Candor, or The Adoration of Jenna Fox have interesting issues. 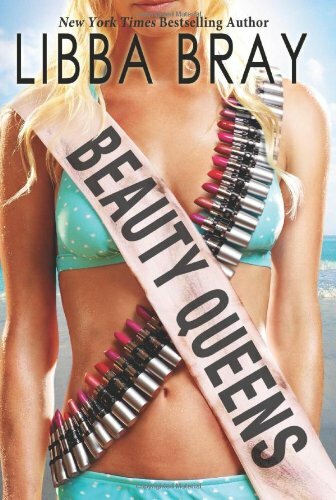 Give Beauty Queens with a small makeup kit, and a healthy dose of irony. Rock out with Beige along with a mix CD of the songs in the chapter titles (or an iTunes gift card). Buy a teen Dramarama along with tickets to a show. Give delicious book A La Carte with personal cooking lessons. Match casino gambling themed Drop with a deck of cards and a family game of penny poker or blackjack. Pair King Dork with a CD of The Mr. T Experience. Treat a tween to Middle School is Worse Than Meatloaf along with pink nail polish, lipstick, post-it notes, and special bubble bath, as mentioned in the book. Pair The Chicks with Sticks Guide to Knitting and/or the completely unrelated YA fiction Chicks with Sticks with yarn, knitting needles, and a promise for some lessons. Give Ductigami: The Art of Tape with... well, rolls of duct tape. 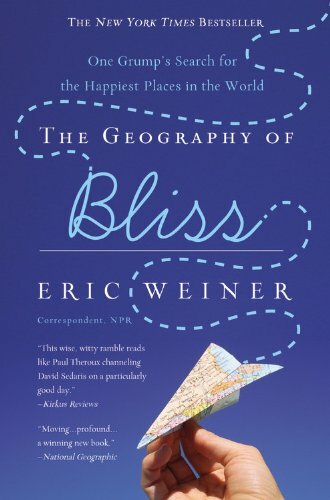 Buy two copies of The Geography of Bliss: One Grump’s Search for the Happiest Places in the World — one for you, one for a friend — and make a lunch date to talk about the book and one’s personal quest for happiness. Pair Life is Sweet with chocolate, any kind. Recapture that one exciting election year when we had hope with Dreams From My Father and Life’s The American Journey of Barack Obama. Colbert fans and soon-to-be converts need the new book, America Again: Re-becoming the Greatness We Never Weren't along with the greatest gift of all, the DVD A Colbert Christmas: The Greatest Gift of All. Wrap your book up in solid paper and tie a cool scarf around it. I love this red and white striped one, which would look great with red or green paper. For just a little something extra, make these headbands the ribbons around your wrapped package. Try reusable shopping bags — wrap in one, attach another in its pouch as a gift. 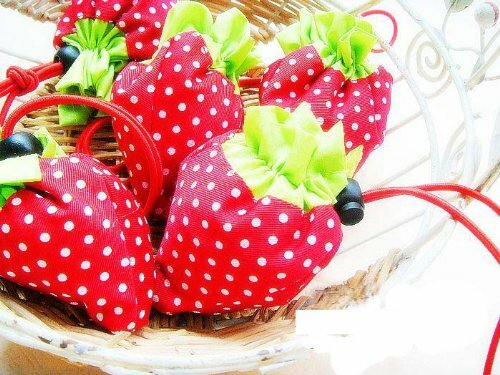 These bags fold up into little strawberries. Cute! Or tuck a book or two in an Aeropostale tote. 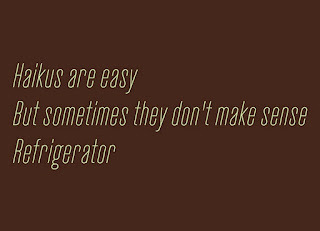 Wrap a cookbook in photocopies of your favorite recipes. A knitting book with your own favorite patterns. Or hey, wrap a book about finances in real money. 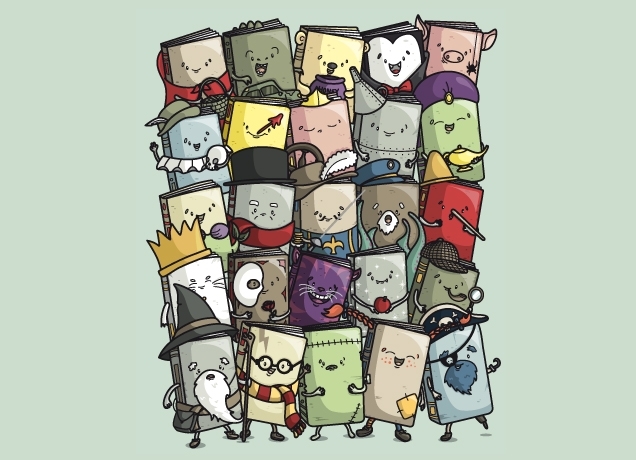 Wrap your book up in a clever Threadless t-shirt. 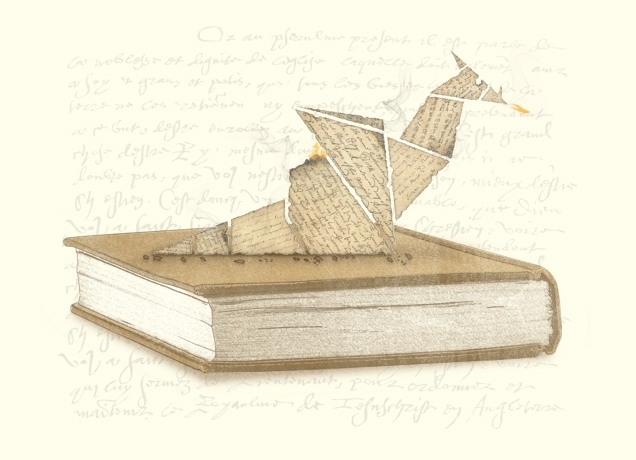 Want a literary theme? They’ve got that covered. But my favorite shirt has to be the Harry Potter inspired Tee Which Shall Not be Named. If you’re going the book gift card route, give it in a recycled newspaper change purse. Maybe you just want to attach a little something to the gift for fun. I suggest a keychain, bookmarks, an ornament, bangle-bracelets, locker magnets, or lip gloss. You can find these online, but personally, I go to the very back of Claire’s stores where they often have incredible discounts on such little things. Okay, I listed keychains, but here are some reading-themed ones like this one. And yes I mentioned bookmarks, but not a Reading Ninja bookmark. 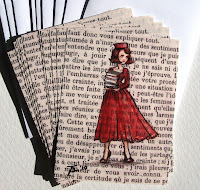 Give recycled book postcards like these Armful of Books. Everyone isn’t on GoodReads, so here’s a little reading journal. For home, locker or cubicle cabinets, some reading-themed Bottle Cap Magnets. Bibliophiles don’t need to hide their love of the page with a Bookish necklace. Or proclaim a love of words on your ears with Shakespeare earrings. 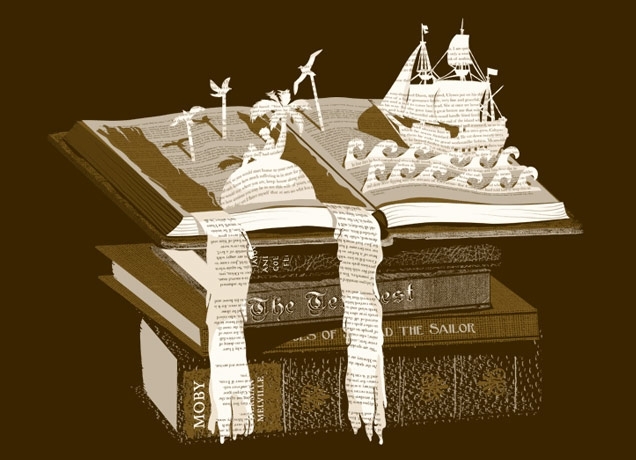 A sweet art print for people who love to read. Or for another take, a print of a favorite animal on vintage book pages. I’m a fan of this peacock, but you can pick from many kinds — like this artistic fantasy tree. Maybe give a book loving coffee mugs filled with chocolates for a special treat. Send out some love to the readers with a special cover of words. Links to material on Amazon.com contained within this post are affiliate links for the Amazon Associates program, for which this site may receive a referral fee.